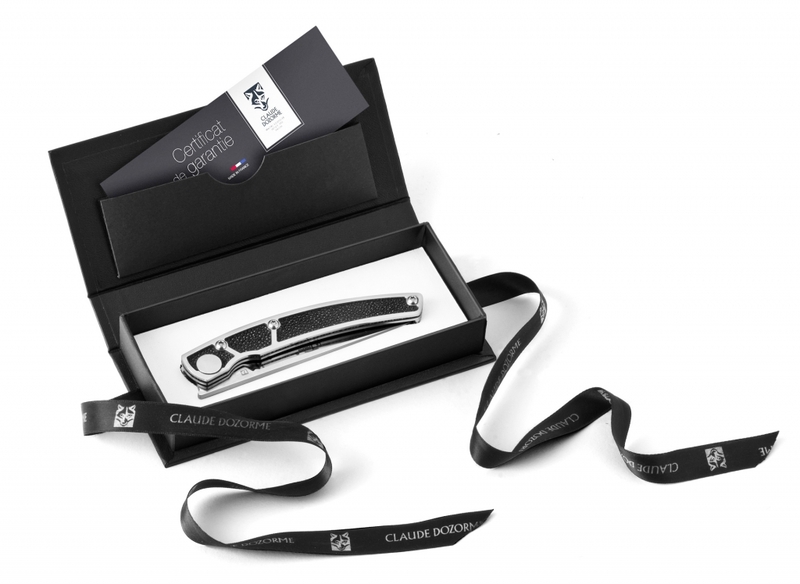 Always in search of creation and novelty, Claude Dozorme’s cutlery continues to innovate in the manufacture of pocket knives. 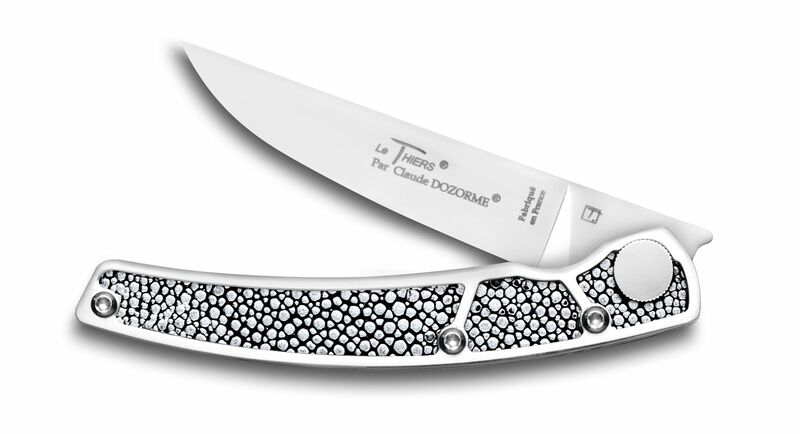 Thus, Claude Dozorme cutlery manufactures these pocket knives with original materials and contemporary designs. 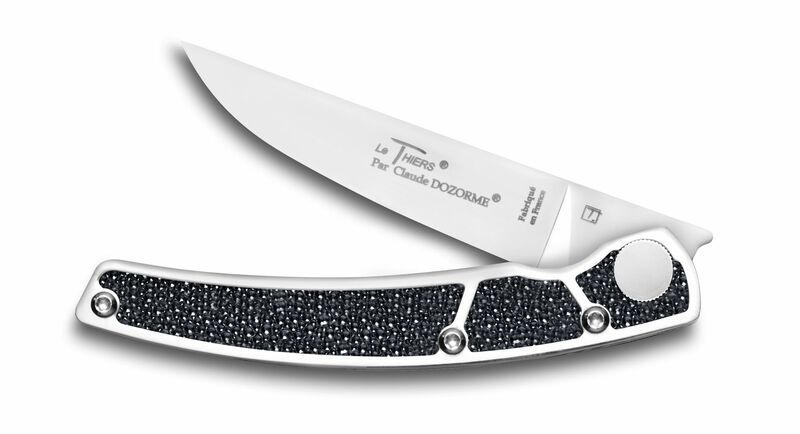 Indeed, modernity and style are the key words of these pocket knives designed by Claude Dozorme. These pocket knives become true fashion accessories. Moreover, the handles of these pocket knives are very aesthetic. We find various new materials such as Galuchat, croco, aluminum, or carbon. 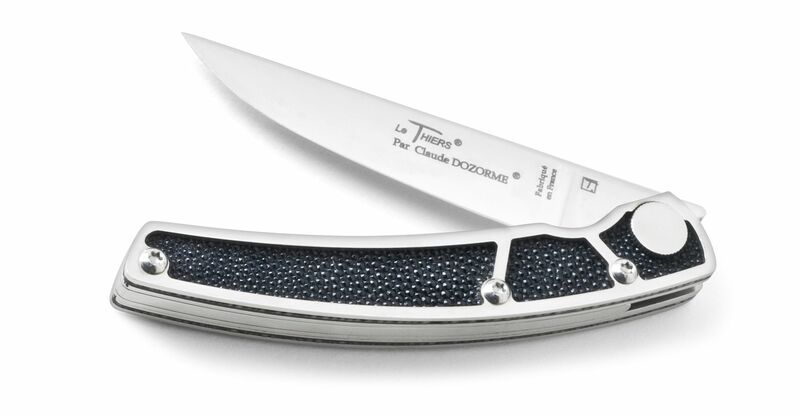 Le Thiers® Elegance pocket knife blade can also be Teflon-coated, giving it a matte black color. 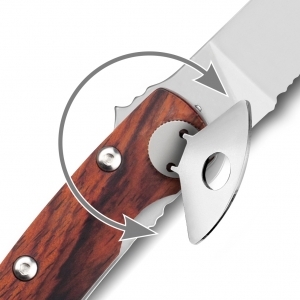 Furthermore, the opening / closing system of these pocket knives is the Liner Lock system. When the knife is open, the blade is blocked by the spring. When pressing on the spring, the knife can be closed. This guarantees a system of opening and closing extremely safe and easy. It is possible to open this knife with one hand. 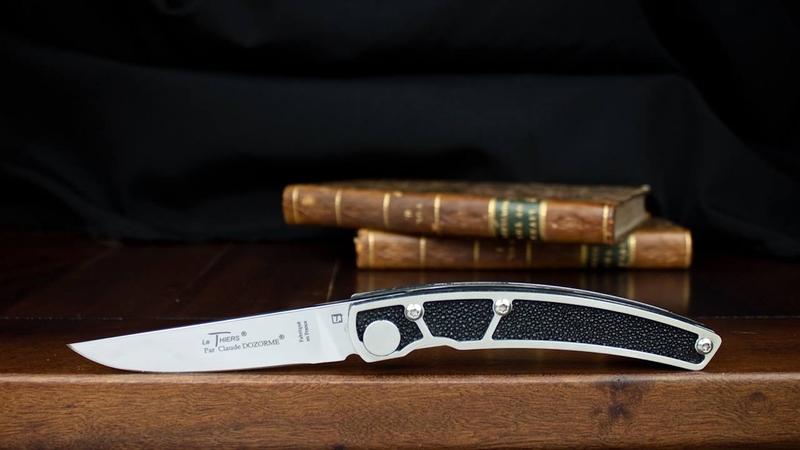 Like the other pocket knives manufactured by Claude Dozorme, the blades of these pocket knives are made from X50CrMoV15 steel. This very high quality steel gives pocket knives excellent cutting performance and easy re-sharpening. 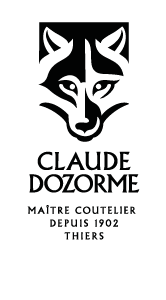 Finally, all the pocket knives of the Claude Dozorme brand are made in our own workshops in Thiers, the French capital of cutlery. 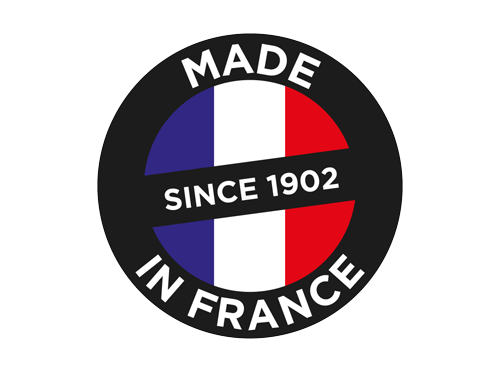 We guarantee a century-old know-how and 100% French manufacturing of our pocket knives. 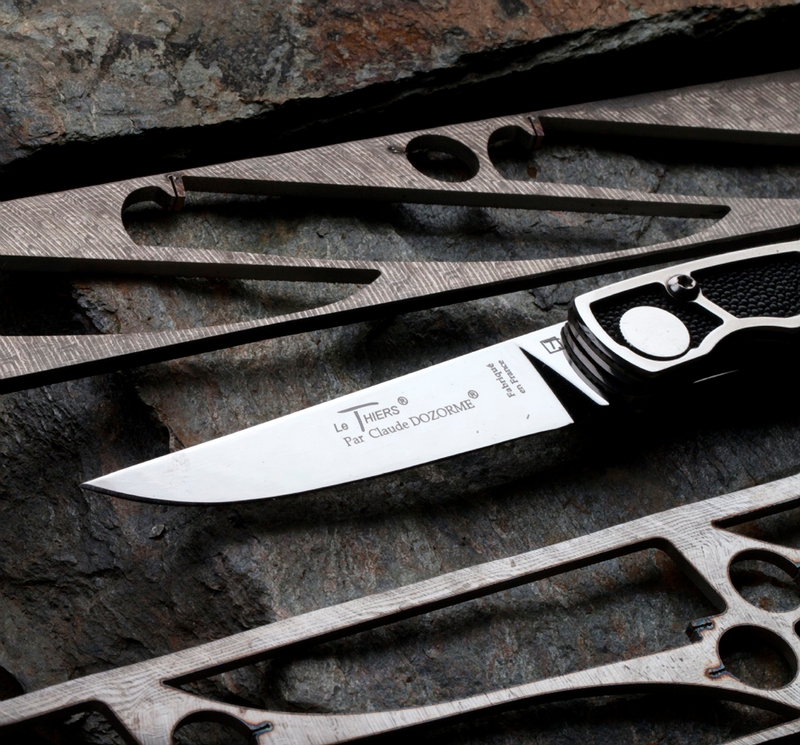 All our pocket knives are made in the respect of cutlery tradition, with quality materials, in France. Chaque couteau est livré avec un kit de réglage.